Two Vancouver women are harnessing the feminist origins of the traditional surname Kaur to give voice to Sikh women in the Lower Mainland. The Kaur Project profiles Sikh women through portraits and first person narratives. 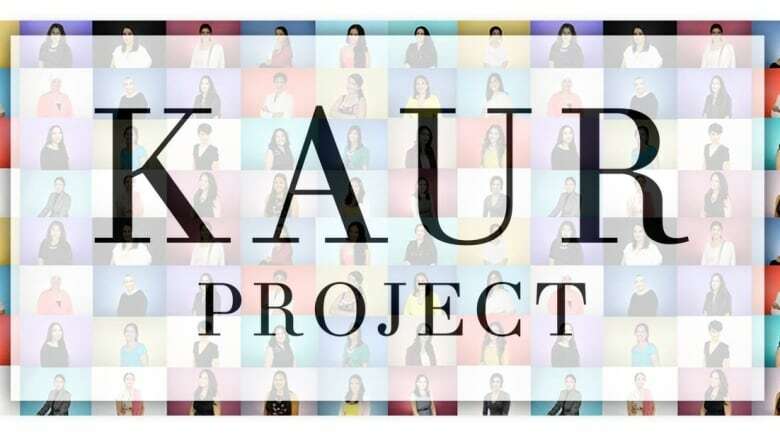 The creators, photographer Saji Kaur Sahota and writer Jessie Kaur Lehail, developed the website to share the untold stories of power and resilience from women who have accepted the name Kaur. "We wanted to do something that was creative but had a theoretical framework behind it and really to showcase the diversity of Kaur and Sikhism in general," Lehail told On The Coast guest host Belle Puri. The name was meant to be an equalizer, allowing women to live their lives without the influence of their fathers or husbands, explained Lehail. 60 women have shared their stories with the pair so far, but Lehail says that it wasn't easy to get there. Many of the women they asked were puzzled at first and didn't quite understand why they were being asked about the name they adopted. "I believe it's because no Kaur has ever been asked, 'what's your story?' Then to have your picture taken and your story told, it's a little intimidating." Each woman's name is followed by a quick description using identifiers like "warrior," "survivor and mom," "poetess" and "healer." "It's kind of interesting the titles that we give these Kaurs. We don't identify them, when I interview them over the phone that's the first question I ask; how do you identify yourself? "Usually they don't have an answer and as we go through our 20-minute interview session. I ask them the same question again and they are usually able to identify themselves, which is such a beautiful and empowering ability to have." Lehail has been inspired by many of these stories but also feels the weight of the task that she and her partner are taking on. Every story she hears reminds her that there are ten more waiting to be told. One recent interview that has stuck with her was with a woman who had lost her mother to cancer. She told Lehail that it took two years to even talk about her mother after she passed. "So this girl, last fall, did a beautiful cancer memorial shaving of her head. It was there she discovered how her features look like her mother," said Lehail. The experience of interviewing this diverse intersection of women has been a cathartic experience for Lehail and she says it has allowed her to discover more about her own identity as a Kaur. "I think as a South Asian woman, as a Canadian, as a Sikh. As someone who works, who has her own business, I have so many identities. And I think as a daughter of immigrants you kind of grapple, and you're supposed to have these hyphenated identities but really you could be anything and everyone. "It's been very interesting to see that you can have all these multilayers and identify on so many levels." The encouraging words of her mother, "you can learn something from every person you speak to," ring in her mind as she continues to grow this project.